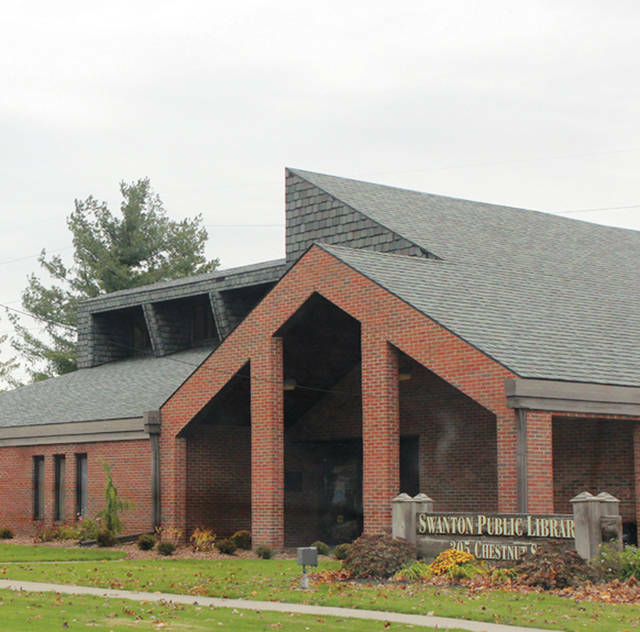 The Swanton Public Library has multiple programs planned to keep adults busy this December. Mixed Level Hatha Yoga I & II will be held on Mondays, the 3rd, 10th, and 17th from 10:15-11:45 a.m. These sessions are slightly more advanced, providing an opportunity to expand participants’ skill levels. Class fee is $10 per session. Hatha Yoga Basics will be offered on Thursdays, 6th, 13th, and 20th and 27th from 10:15-11:45 a.m. Class fee is by donation. Proceeds benefit the library. Chair Yoga will be offered on Thursdays the 6th, 13th, and 20th and 27th from 2-3 p.m. Class fee is by donation. Proceeds benefit the library. The Book Club will be meeting on Thursday, Dec. 13 from 7-8 p.m. December’s title will be “The Death of Mrs. Westaway” by Ruth Ware—the author of the popular thriller The Woman in Cabin 10. This will be another mystery for fans of Agatha Christie, and for anyone who loves a mystery with just a touch of the supernatural. Copies in various formats (large print included) are available behind the circulation desk. Copies are limited. Registration is not required for the book club and all are invited. Donna Mills will be visiting again to lead a Family Painting Night. Bring a loved one (or two) and Mills will teach everyone how to paint a personalized set of Christmas stockings. Since this is a Family Painting Night, children age 5 and up are more than welcome. In the spirit of the season, the Friends of the Swanton Public Library will pay for the class and Mills will provide the supplies. It will be Dec. 13 from 5-7 p.m.
Register now—as room is very limited. Call 419-826-2760, stop in, or register at www.swantonpubliclibrary.org. DVDs for anyone interested in the discussion will be available behind the front desk—don’t be afraid to ask. These titles will have a week-long loan to let you enjoy them at your leisure, but copies are limited so don’t wait. Registration is not required for this program. On Tuesday, Dec. 18, come watch movies on the library’s new big screen. Preschoolers and families are invited to see the animated short film “Olive, the Other Reindeer” at 10:30 a.m.. Kids and families can watch the musical Christmas classic “A Muppet Christmas Carol” at 4 p.m. Adults are invited to see the tangentially Christmas-related action film “Die Hard” at 6 p.m. Popcorn, drinks, and fun included. Are the winter holidays your time to shine? Are you the supreme champion of every family game night? Do you want to pit your knowledge of the Most Wonderful Time of the Year against your fellow patrons? If you answered yes to any of these, library staff wants to see you at Trivia Night. They’ll be splitting everyone up into teams, so come with friends…or join the opposite team and crush them with your superior trivia skills. For extra incentive, the SPL will be providing prizes for the winning team. Trivia Night will be held on Thursday, Dec. 20 from 6-8 p.m.. This program is free to attend and registration is not required. The local chess group meets at the SPL on Wednesday evenings at 6 p.m. and Saturday afternoons at 1 p.m. Players of all skill levels are invited. The monthly knitting group meets the first and third Wednesdays of the month—Dec. 5 and 19 – from 6:30-8 p.m. No experience required and all are welcome. Some local writers will also meet on the first Thursday of the month, Dec. 6 at 7 p.m. As always, all skill levels are invited, and amateur writers more than welcome. Stop in just to chat or to share your work. Note: There will be no cardmaking class for the month of December. This class will resume in January 2019.